Lit with just one Nikon SB-600 mounted on a shoot-through umbrella above and to the right of the model. Nikon Speedlight capable of being triggered remotely (SB-600, SB-700, SB-800, SB-900 or SB-910). Please see our Nikon Speedlight Comparison article to see differences between all Nikon Speedlights. 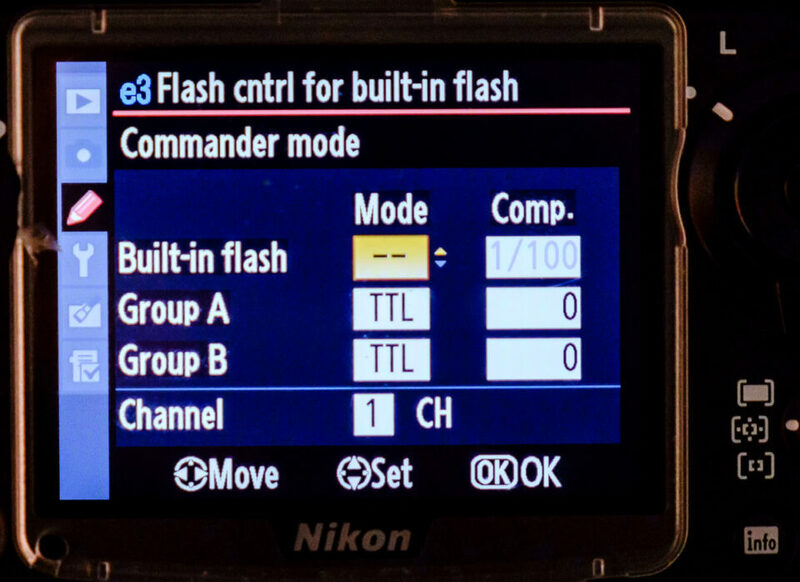 The main feature of the Nikon CLS system is the ability to use TTL metering with the remote flash. This is called i-TTL balanced fill flash. The Speedlight sends out pre-flashes before the main flash, which are then picked up by the flash units TTL flash sensor. 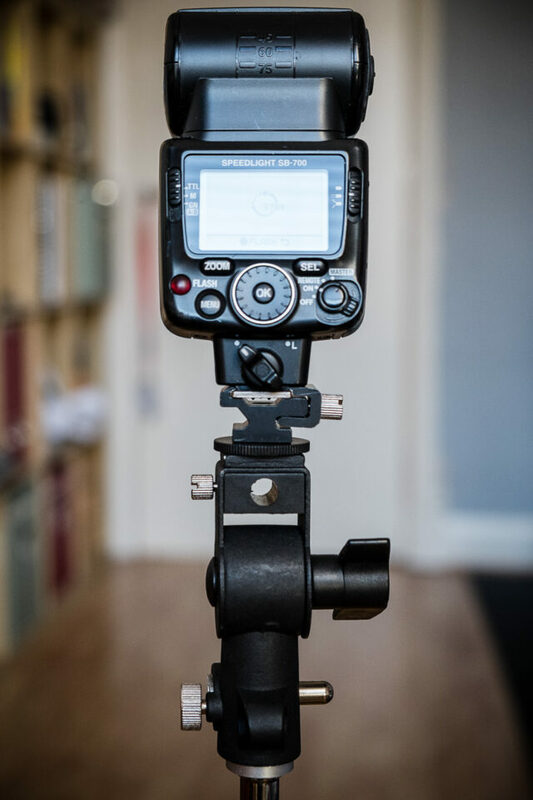 This information coupled with the matrix metering system in your camera and lens enables the flash to choose the best output for the flash to balance the foreground/background. Its like you have a lighting technician working with you holding your hand! Below is the list of Nikon Cameras that have the ability of using the pop-up flash as a remote commander to Nikon’s range of Speedlights. 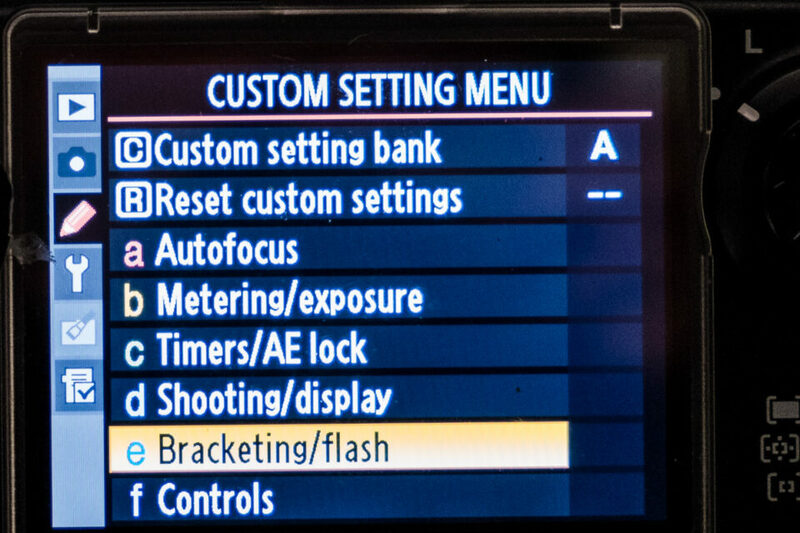 The custom setting where you will find the “flash cntrl for built in flash” is to the right. We can control the power of the built in flash and I prefer to have no output other than the trigger signal coming from the pop-up flash, so cycle the mode until it shows to dotted lines like this “- -“. This means the pop up flash is not firing other than to trigger your off camera Speedlight. Although in practice there is a little power still coming from the pop-up flash. Underneath the built-in flash are two groups “A” and “B”, so we only need to adjust group A until it reads TTL. Underneath Group B should be “CHANNEL” it should already be in channel 1, if not, set it to channel 1. Once you are in TTL you are set to go with the camera. The images shown are from an SB-700, although the menu system in the SB-900 and SB-910 are almost identical. Now all you have to do is position your flash and take your picture. If you need to adjust the power of the flash you can set it to +3 or -3 stops of flash power in the camera. This is more than enough to give you pretty good control over the subject/background illumination. The only downside is, since it is an automated process, there can be variance in exposure levels, because sometimes machines do get it wrong! As a “no-brainer” way to start exploring proper lighting, the Nikon system is great. As long as you get it right in camera, the flash will do the rest for you. If needed, you can adjust the flash compensation in camera. You can forget about hiding the flash behind walls – it won’t work. It can also struggle a on a very bright day. I used this system for a couple of years as a wedding photographer and it works great 99% of the time. As a beginner system, you can’t beat the ease of use with the CLS system in TTL mode. So get out there and have fun! This article has been submitted by David Walters, a wedding photographer from Liverpool, England. You can explore his photography via his website. Nikon “Creative” System is unreliable at best. In order to get OK results (OK distance and fewer misfires) you need a fairly new model like the SB700 or SB900/SB910. Even worse, to get reasonable results you better off not using the camera built in flash and instead using two speedlights, one on the camera to send the signal and one on the stand to receive it. As such, Nikon “Creative” Systemit can be a very expensive proposition. Nikon flashes that can work with the system are still expensive, even the very old ones. Get two new Godox flashes (the TTL one is around $110 and the manual one is around $80) get a couple of Godox radio receivers and a trigger and you still spent less than one (very) used Nikon SB800 or even (again, very old and very used) SB600. 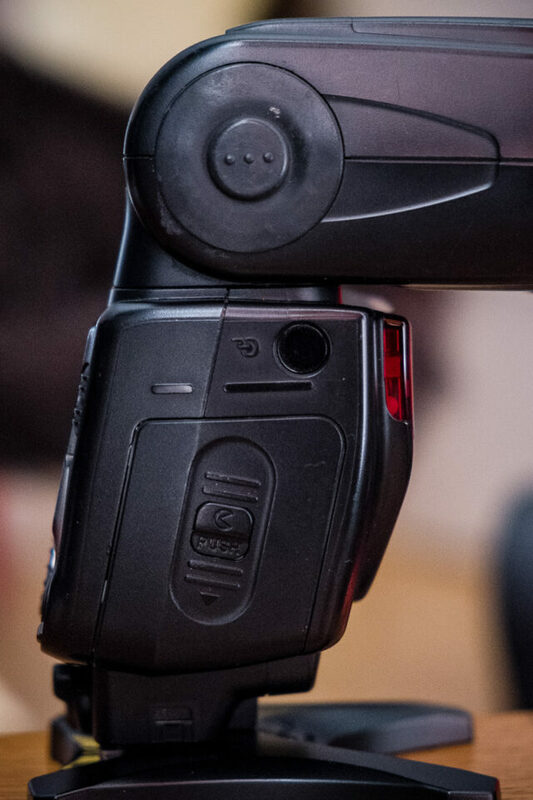 Using radio triggers is as easy as turning them on and mounting them in the flash. Done. Now have fun. The ONLY time I use the “Creative” system is for fun at my home. I agree with you about the pricing of Nikon speedlights. They certainly command a premium price. Hard for an amateur to justify their price, unless they have deep pockets. Thanks for the tips on the generic strobes, and radio receivers. Reliability of the Nikon’s CLS optical triggering system strongly depends on the shooting environment. Indoors a normal size room when flashes are not hidden in strange place (in a bucket or behind a couch) the system is quite reliable. Problems begin when you move to a larger hall or outdoors. all of a sudden you have a headache of having to monitor where the flash sensor is pointed. So, if you are going to shoot only indoors, in rooms that are not too large and using rather standard flash setups (no hidden flashes) in my experience Nikon CLS as just fine. On the other hand if you don’t want to be restricted by your flashes in what you can do radio triggers is the way to go. This is the way I went, switching from SU-800 controller. I am unfamiliar with Godox triggers. The two triggers/receivers I identified in my recent research were Cactus V6 and Yongnuo YN-622n and YN-622n-tx kit. Each has advantages, but if I am not mistaking both work only(?) in “manual/non-ttl”. The cool part is, with both you can adjust the power of each flash groups from your trigger on the fly. Cactus V6 is advertised as being able to work with mixed flash systems (Nikon/Canon/…) including some of the Nikon old flashes like SB-26/SB-28 that are now available for ~$60-80. The drawback is the price. Each unit is $70 new. There is no distinction between receiver and transmitter, they are all the same – transivers. I went with YN-622n/YN-622n-tx system. Surprisingly, I was unable to find used units cheaper than the price of new ones. New ones cost around $40-45 per YN-622n transiver and about the same for the transmitter YN-622n-tx. As far as I understand YN-622n-tx unit is essentially YN-622n that has a very nice interface for controlling other units. They work with Nikon’s newer flashes (SB-400, SB-600, SB-700, SB-800, SB-900, SB-910). The flash has to be set in TTL mode to be properly controlled by the radio trigger, but it will essentially operate in a manual mode. These triggers were tested by some to work flawlessly 100+ meters. No more worries about where you can position the flash to guaranty it goes off. You may even place it in a fridge and close the door and it will fire … maybe. I have not tested it :) As an extra benefit the system can be used as a radio trigger for the camera. Gosh, this turned into a long post. Hopefully, somebody will find this helpful. The down side of the Cactus V6 triggers is they do not work with HSS (High speed sync) Not sure about the Yongnuo. The Yongnuo’s do support HSS assuming your flash supports it. Not all do so if you need HSS, both the radio system and the flash must support it. Note also that not all Nikon DSLR’S support HSS. For example, the D3xxx and D5xxx do not. Great advice. In my experience the Yongnuo’s work as well (slightly shorter range which is meaningless for just about everyone) then the name brand Pocket Wizards. Cheap and reliable! Also buying used Nikon flashes is a great idea! They are very well built and last seemingly forever. For example, I have two 10 year old SB-800’s that still work perfectly. I purchased my SB910 used and would not hesitate to do it again. The Yongnuo’s you have support all TTL functions. I wish I had read this article and all the comments before spending on the CLS! I have a Nikon D610 and SB900 speedlight. I followed this tutorial, and the flash does fire, however the on-camera flash is also firing, even though I have the built in flash mode set to ” —” as per the tutorial. Any idea as to what I’m doing wrong? Thanks! The only way to not have a visible flash fire to send commands to remote CLS units like the SB-600, SB-700, SB-800, SB-900 and SB-910 is to use the SU-800 commander, which sends out pulses of invisible infrared light. I give a very loud second to the use of the SG-3IR panel. It’s the best $12 you’ll ever spend. It will give your photos a professional look you can’t get any other way unless you use PocketWizards. Despite what everyone says, even in — mode, the commander flash does show up in pictures as tiny specular highlights just where you don’t want them. So for heaven’s sake, buy one, your pictures will never look better. perhaps watch Joe McNally’s videos; he seems to have no issues and creates amazing images. As a pro photographer, he wouldn’t muck around with crap that didn’t work. Maybe your just unreliable. lol. I use it with yongnuo ttl radio triggers and it is very reliable and cost effective. Its far better than Canons in camera control. Very helpful post with a very nice example image. Thanks. The technique can also be used in the field under breezy conditions for close up work. A small inexpensive on-the-flash diffuser can then help soften the slave light. Thanks for a nice intro to Nikon’s Creative Lighting System. I have a couple of Nikon 600 flash units and I have played with the Creative lighting system. It worked fine for me, even though I am a beginner at it. Thanks for jogging my memory about this technique of using flashes. I hope you will post more articles. Yep. Same here exactly. Gonna book mark this to save me the trouble digging around the manuals next time I play around. I don’t remember why it was but for some reason I found I had to use the little infrared device that sits over the cameras popup. I think I was not able to dial it down enough or something. Was it perhaps the SG-3IR panel? Thanks for the step by step instructions. I agree about using triggers of some kind eventually. For those who are starting out in off camera flash this is a good introduction. Be forwarned it leads to gear envy for what you dont have, more gear, and less money in your wallet! 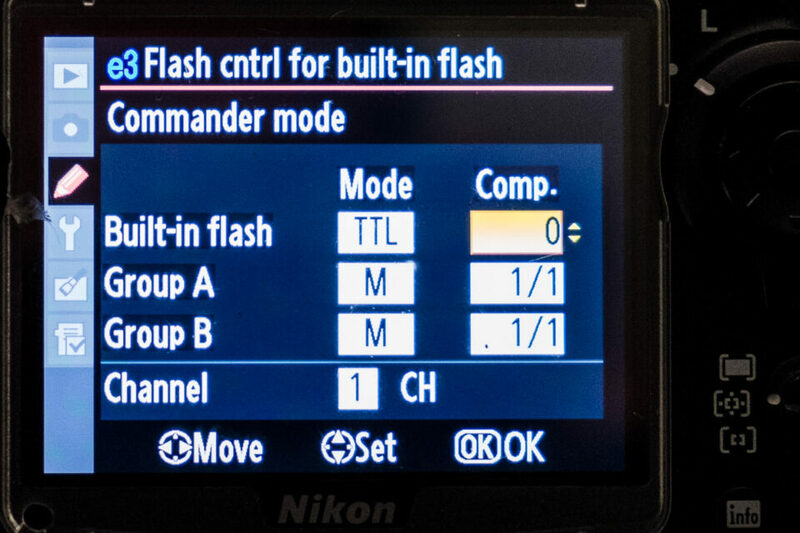 One thing that I believe new users should be aware of is that when used on most Nikon SLRs, when using TTL to determine wireless flash exposure, the flash mode will be stuck in TTL-BL — aka fill-flash mode (as opposed to normal TTL) — mode unless the camera meter is set to spot metering. The one notable exception that I know of is the P7000 point & shoot, which defaults to normal TTL mode. You touched on this a little when you mentioned that the TTL metering is called iTTL-balanced fill flash. In practice, this means that unless you set the camera to use spot metering, the flash will always be dial-down to provide natural-looking fill to the existing ambient light. If the goal is to use the flash as the main source of illumination — and not just to add fill light as it is in the sample picture — the image may end up being underexposed. CLS is also sensitive to color and will attempt to render a scene neutral gray, so compensation is often required for accurate exposure. When using CLS as the primary source of light, dark-colored scenes aren’t so much of a problem, as they’ll cause the system to pump out more light, often giving the proper exposure. For most other types of scenes, I find that dialing-in +1 to +1.3-stops of exposure compensation — roughly the amount that the CLS system dials-down the flash to give natural-looking fill — works well. If the scene is really light-colored, I’ll dial-in a little more compensation. One thing that I believe new users should be aware of is that when used on most Nikon cameras and using TTL to determine wireless flash exposure, the flash mode will be stuck in TTL-BL mode — aka fill-flash mode (as opposed to normal TTL) — unless the camera meter is set to spot metering. The one notable exception that I know of is the P7000 point & shoot, which defaults to normal TTL mode. You touched on this a little when you mentioned that the TTL metering is called iTTL-balanced fill flash. One other thing that new users should be aware of is that if they plan on using a built-in flash as the “master” or control unit, the light from this flash can show up in your pictures if you’re close to the subject. Nikon does make a small plastic panel to reduce this effect, but to completely eliminate this problem you have to use the SU800 wireless commander. Unlike Motti, I’ve been able to make the system work consistently well with older flashes like the SB800. Initially, I had problems, but after I read the Magic Lantern guide to the system and found out that it’s stuck in TTL-BL mode, I was able to make it work for my purposes. I’ve been able to use it to light small rooms quickly to cover events. Surprisingly, I’ve found that it can be integrated with non-TTL flashes that are connected to radio triggers. It definitely isn’t the end-all, be-all of wireless lighting systems, and like all photographic gear, has its limitations. IMHO, like any other tool, we all have to experiment with it and figure out how to make it work for each of our needs.ne other thing that new users should be aware of is that if they plan on using a built-in flash as the “master” or control unit, the light from this flash can show up in your pictures if you’re close to the subject. Nikon does make a small plastic panel to reduce this effect, but to completely eliminate this problem you have to use the SU800 wireless commander. It definitely isn’t the end-all, be-all of wireless lighting systems, and like all photographic gear, has its limitations. IMHO, like any other tool, we all have to experiment and figure out how to make it work for each of our needs and when another tool is required. There is a way to almost completely eliminate the built in flash light so it does not have an effect on the scene. Just select “–” in the flash main menu. As for being able to use other flashes (connected to radio trigger? why? ), if they do not support the NCL, they just fire because they sense another flash firing. They have their sensor on. Otherwise, thy would not fire. I am not aware of any radio receiver that can communicate with NCL. Is it even possible? Thanks for mentioning the on-camera flash setting. I’ve used this setting, but the really the only way to completely eliminate the chances of light from the on-camera flash hitting the subject is the use the SU800. I’ve combined CLS with radio triggers by plugging the transmitter into the PC sync port on the camera or to the PC sync port which is on the SB800. 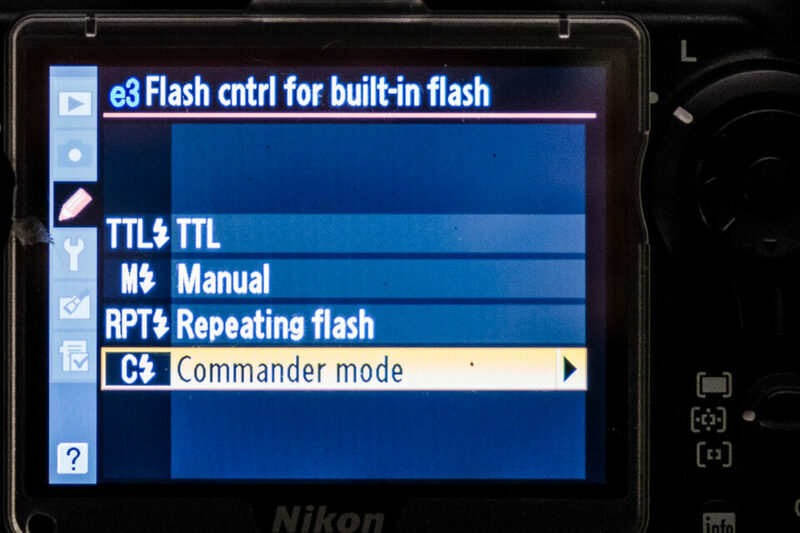 CLS will then provide wireless TTL control of my Nikon flashes and the radio trigger will the non-CLS flashes. The third-party shoe-mount flashes I’ve combined with CLS do not have optical slaves on them so they are not triggered by the light from other flash units, which is why they require radio triggers. For my other flashes that have optical slaves built-in, I plug a sync cable into them — which is required for use with my radio triggers — which disables the optical slave. Kenneth, Thanks for the useful info. My Metz hammerhead flashgun (with its Nikon module) has the option to select between various modes, two of which are i-TTL and i-TTL BL. Whereas the SB 700 doesn’t give me this choice (unless I’ve misunderstood its user manual), which I find seriously annoying. I’m glad to hear you found the information useful. I also find that feature on the SB700 annoying. 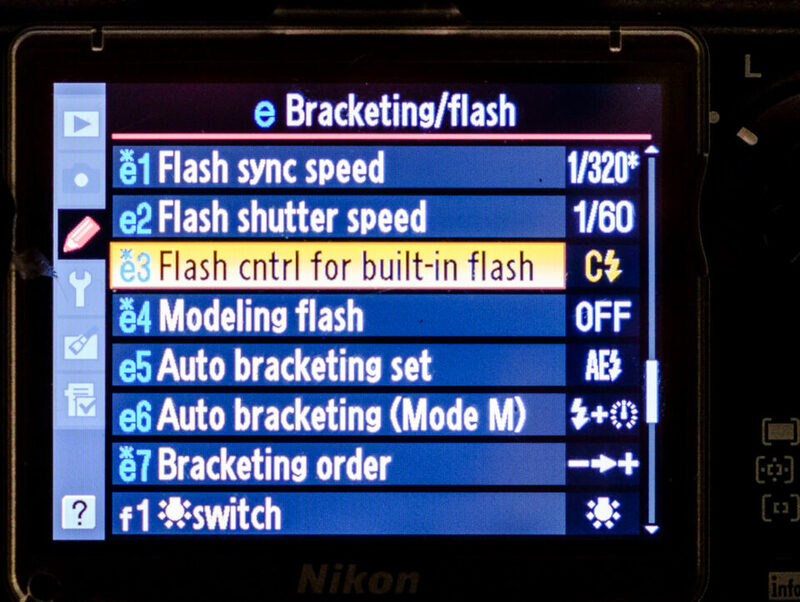 I don’t know why Nikon removed this option from the flash. I believe that it was also left off the SB400 and its replacements as well. Normal TTL is user accessible on the the SB600 — which it replaced — so I’m not sure why they felt the need to remove it. What’s weird is that if you plug the SB700 into the P7000 point and shoot it will default to normal TTL mode. The same thing happens when using wireless CLS. I don’t know if any other Nikon cameras do this. 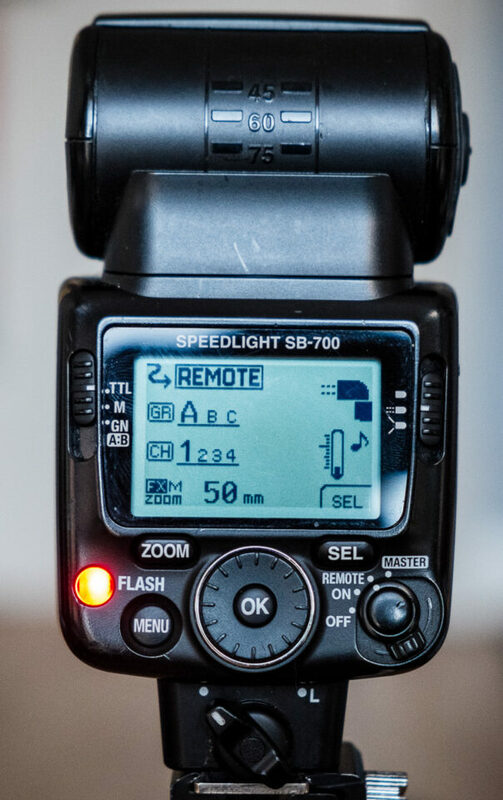 You can force the SB700 into normal TTL mode by setting your camera to use spot meter. Unfortunately, if you do this, you’ll need to be conscious about where you point the spot meter or you may need to use exposure compensation to get the proper exposure, as the camera will attempt to make whatever you point the spot meter at into a neutral gray. But then again, my experience has been that CLS pretty much always tries to make a neutral gray when the flash is the primary source of light. Ken, one of my Nikon film cameras has the option to select between standard TTL flash and TTL balanced fill-flash, both of which work with all three metering modes. I can’t understand why Nikon omitted this control from their DSLR bodies — having to use spot metering to disable balanced fill-flash is completely useless for my needs. I agree, Pete. Nikon’s design decisions don’t make much sense. About the only reason I can think of to remove this feature is that they may have been trying to simplify the SB-700. In other words, they were taking the Apple Computer approach and making it easier to use by taking away features. As this is considered to be a lower-end flash unit and probably targeted at less advanced users, they may have felt the two TTL modes would be confusing. I use the Nikon CLS all the time, for indoor and macro photography where the range is short, and the signal can bounce around. For controlling the CLS, the SU-800 sender is far superior to using the pop-up flash. If you find yourself using the CLS a lot, get an SU-800. But outdoors, the Nikon CLS doesn’t have enough range and requires line of sight between the sender and the flash unit. So I use some Cowboy Studio manual wireless triggers and set the flash manually. Putting the SU-800 and your Nikon CLS flash unit on pocket wizards gives you full CLS functionality including HSS and it replaces the IR with RF for greater range and better performance. For people on a tight budget, Yongnuo provides full CLS funtionality at a fraction of the cost of Pocket Wizards. Long after the fact – but this information is incorrect. You cannot put an SU-800 on a PW and expect full CLS – Aint gonna work, squire! The D750 features a pop up flash that can act as a commander. Thanks for the nice article and the nice contributions too. David, You have written such an easy-to-follow guide! I’m usually very good at both following instruction manuals and figuring things out by myself, but it took me far too many hours to get the hang of CLS by reading the manuals. The d750 and d7200 dont have this feature ? Thank you for this simple article to better understand CLS, but there is something I don’t get in the set up. In one of the picture, the set up in the camera for the internal flash mode is set to two lines “–” with a compensation of 1/100 and Group A to TTL. However in the following picture it is set back to TTL for the built-in and M for the Group A. Was it a mistake or I’m I missing something? John, I was puzzled by that as I read through the article. After thinking about it, I noticed that the 1/100 is greyed out in the display because this setting doesn’t apply when the Mode is – -. It is just showing the previous value that was used when the Mode was set to something other than – -. I hope that makes sense. Thanks for writing a nice introduction to CLS. Adding a Speedlight (or two) with some type of light source like an umbrella or softbox is the best way to improve any type of portrait photography. Of course, it can be used for many other types of photography as well.. I use lights all the time for fill flash or to add drama to pet pictures – and not just pet portraits but for some action shots as well. If you aren’t taking advantage of this you are really missing on one of the key advantages of more advanced camaras. David explained how to use the built in optical triggering very well. That said, adding radio transceivers adds versatility by providing more reliable triggering in bright light and removes the line of sight requirement. The great part is you can get very inexpensive radio systems that provide full TTL control including useful features like high speed sync (HSS). The Yongnuo system is very inexpensive and you get all the TTL features. Further, you can use them with less expensive Speedlghts from other vendors so you are not limited to Nikon (note that I do suggest having at least one powerful high end flash. I really like the Nikon SB-910.Get one used if money is an issue) Of coure these Yongnuo’s work with Nikon and Yongnuo flashes, but also other brands like Metz work perfectly. Trust me when I say rhis – learning to use flash (eventually you want to master both CLS / TTL and manual) is the least expensive way to improve your photography. Forget spending more on higher end camera bodies – keep your existing likely very capable DSLR and get some lighting gear. It will make you happy! Hi everyone, thanks for all the helpful comments and further great information on more advanced lighting set ups. Like sceptical1 says the next step is to get some radio triggers. I have been using 2x 622n and 622n-tx with 2x sb700 for about a year now. Before I upgraded to the Yongnou I was using the pop up flash with the two sb700’s very effectively, even in daylight outdoors. It gets a bit tricky with the line of sight, but it works 95% of the time. It all depends on your budget how you are going to upgrade from the basic set up. As other people have commented you need to switch the setting in camera to manual and then you can totally control the output of the flash independent of the camera. The image at the beginning of the article was shot using the pop up flash of the D300s with an SB600 using manual control and a shoot through umbrella. As long as you have the commander flash in the – – position and you are a few feet away you wont get any light spill from the pop up flash. The image was shot in the daylight under cover of trees so I closed the aperture to 5.6 at 125th second and without using a light meter dialled in the required flash. Usually start around 1/8th power and then its just a case of looking at your camera rear screen. Not a perfect way of doing things but a lot more intuitive and faster than using a light meter. I wrote this for the total newbie so I hope it helps beginners raise their confidence with what they can do with a camera. I’m so eager to learned about photography i have D3100 which i purchased 2 years ago..But i have read some blogs says that d3100 is not good enough.For a beginners like me, will am i going to have the benefits from D3100 or do i have to upgrade new one. For general photography, you’re only limited by your own creativity, because cameras don’t take pictures, people do. In other words, the pictures you produce have nothing to do with the camera you use, but how YOU, the photographer uses the camera. That said, there are some types of specialized photography that can benefit from having a more advanced and capable camera. Although I have never used one, the D3100 your purchased should be more than adequate for your needs. It’s actually far more advanced than what I started with over 30 years ago, and a lot better than the first digital cameras I used over 15 years ago. With careful shopping and/or just good luck I have an SU-880 for $80. and 3 SB-600’s at $100 each. I combined this setup with Aokatec radio triggers which turn the SU-800’s infrared signal into radio. A complete Aokatec 3 flash setup ran me around $120. CLS without the line of sight limitations, 3 flash’s for a total of about $500. I’m really happy with my V860, which i purchased here . That looks like what I’m trying to do to start knowing about flash off-camera. You listed in the article various speedlight. Will I be able to do that kind of set with a SB-26 either? The speedlight must be put o remote, so does the SB-26 have this feature? I read that mixing new speedlight with old ones can be little tricky, but just using one SB-26 with ths kind of set and a D700 will be possible? The SB-26 can easily be triggered remotely, but not in the same manner as a CLS flash like the SB-600, SB-800, or SB-900-series speedlight. The SB-26 does have a built-in optical slave, but it’s not compatible with the CLS system, if you’re looking for TTL exposure. My understanding if you attach an SU-4 slave unit to an older flash like the SB-26 it can be triggered in a semi-TTL mode if you use connect an SB-800 or SB-900-series flash unit that’s set to SU-4 mode directly to the camera’s hot shoe or with an off-camera TTL cord like the SC-17, SC-28 or SC-29. 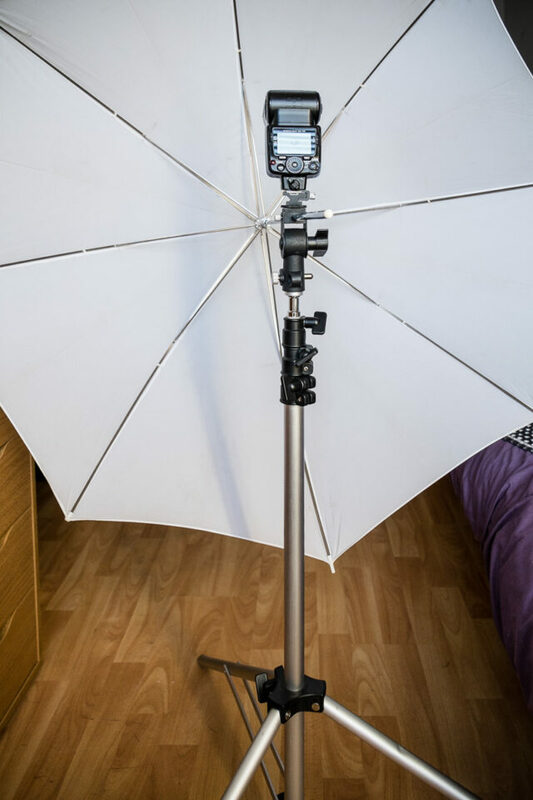 In this type of setup, the main flash that’s attached to the camera can be used in TTL mode and will trigger the SB-26 via the SU-4 slave unit. The remote flash will turn off when it sees the main light turn off, mirroring the output of the main flash. The SU-4 can also be used in manual mode as a traditional optical slave, but since the SB-26 has it’s own built-in optical slave, it would be somewhat of a waste to buy an additional piece of equipment to trigger the flash in this manner. I haven’t tried this method of triggering and have only read about it in the Magic Lantern guide to the Nikon flash system, so I can’t vouch for how well it works. 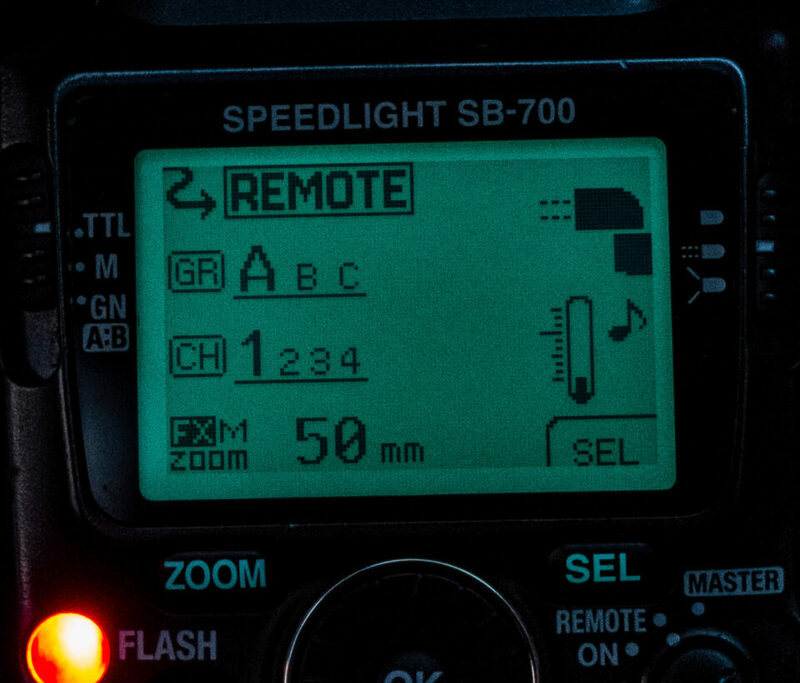 As with all optical slaves, the receiver on the remote SB-26 must be pointed so that it can see the light of the main flash, and its range will be very limited compared to radio-based systems when there is a lot of ambient light. Nikon discontinued the SU-4 many years ago, so you’d have to turn to alternative sources like eBay to find them. If you’re just looking for an inexpensive way of triggering your SB-26 without wires and don’t mind foregoing TTL, IMHO, an inexpensive wireless system would be more versatile, have longer range and be less expensive than going with an SU-4-based system for off-camera flash triggering, especially if you plan on using more than one remote flash. There are a number of inexpensive wireless trigger systems on the market some of which start under $10 on eBay. I can’t say I’ve used any of them — I’m using Pocket Wizard X transceivers for my long-range wireless needs — but if you check check out what some of the people on the various Strobist forums are doing, I’m sure that you can find some good information there. Hey Kenneth many thanks for the explanation. Yes, I’m actually looking for a way to trigger that could be good to go for a beginner. I mean without spending lot of money. Actually It’s not a main issue not having TTL in a beginning cause I’m concerned in learning more about light. So it will be ok flashing them in manual too. I find Nikon CLS 100% reliable in my small studio, which is not a surprise I suppose. I use SB700 and SB5000, triggered by built-in flash of D750 and D810. I tried experimenting with Yongnuo thinking it would expand my capability but I find them unreliable (even in my small studio) and also extremely cryptic in control structure. I shoot manual setting BTW, not TTL, when using off camera strobe in my studio. I tried this and it worked! Thank you so much for sharing! I am looking into buying the right equipment but my question is. I have a Nikon sb700 flash. 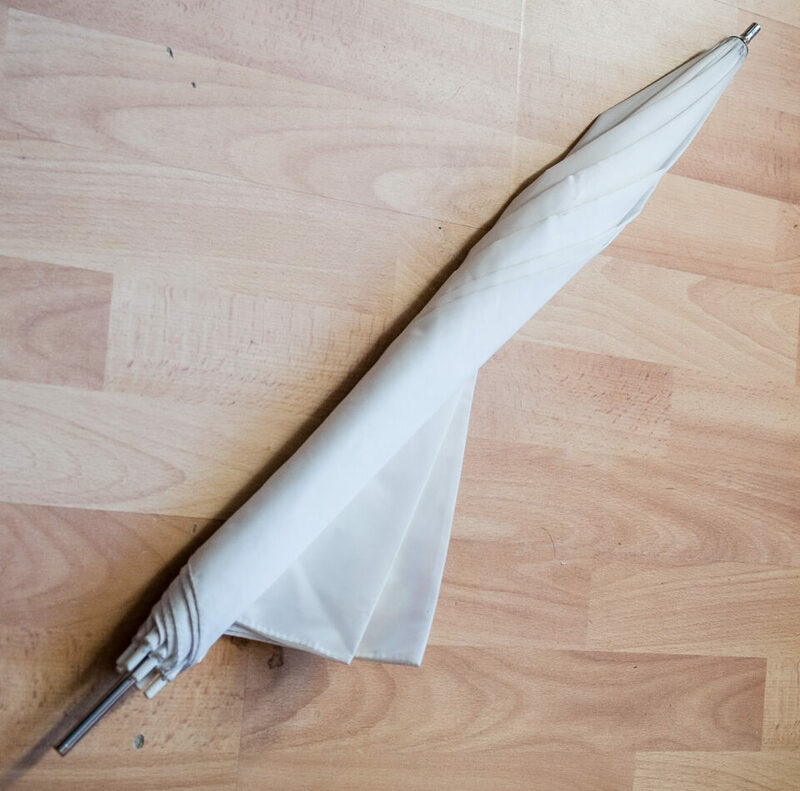 How do I know which umbrella bracket to buy? How do I know it will fit my flash? Is there a certain size I should be looking for? Luckily, umbrella brackets and hot shoe adapters are all the same size. 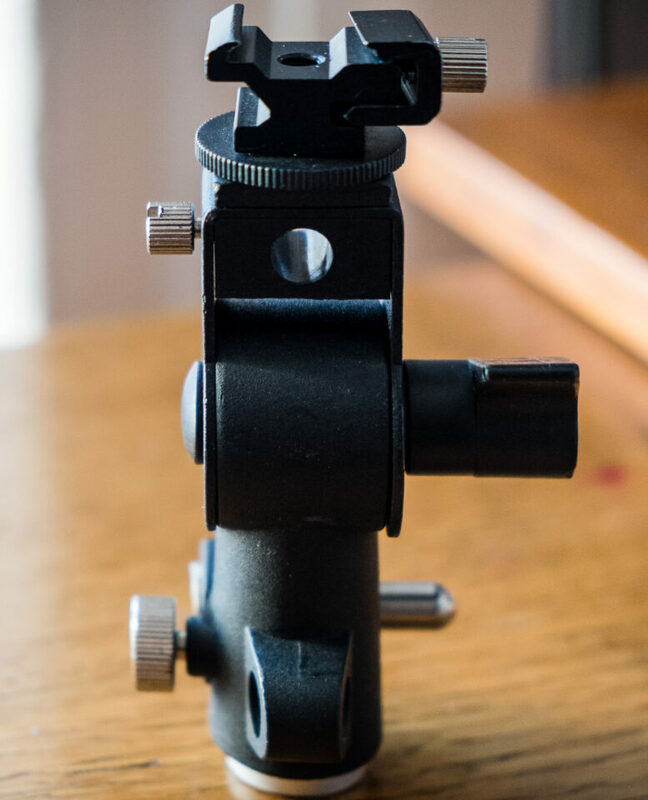 I just looked at the ebay link, and the only thing you need to make sure of is to get both the bracket and the hot shoe adapter. I looks like on that page some of the listings only have the bracket without the hot shoe adapter. I’ve unsuccessfully tried to find an answer to this online and sorry if it’s a dumb question but can I use the SMDV RFN-4 in a similar way to a Pocket Wizard or is it limited to shutter release only? I haven’t purchased one as yet and I’m no sure if they’ve been superseded but I was rather hoping for one solution to two different challenges. I have an SB900 which I bought used and I’m keen to explore off camera lighting. Would you suggest an additional couple (or more) less powerful units to be used in conjunction with the SB900? I have used the Nikon CLS on a few occasions with mixed results especially under the bright Queensland sun. Perhaps one of the generic alternatives to Pocket Wizards would be the way to go? Any assistance gratefully received. I don’t really keep track of this article comment section as it is a bit old now, so sorry for the lateness of reply. The unit you mention is actually a wireless shutter release which activates the camera shutter remotely, without being next to the camera. It is a totally different thing to a wireless flash trigger. I would imagine you are struggling with the pop up flash in the sunshine, although a SB-900 will have limited effect in direct sunlight anyway? 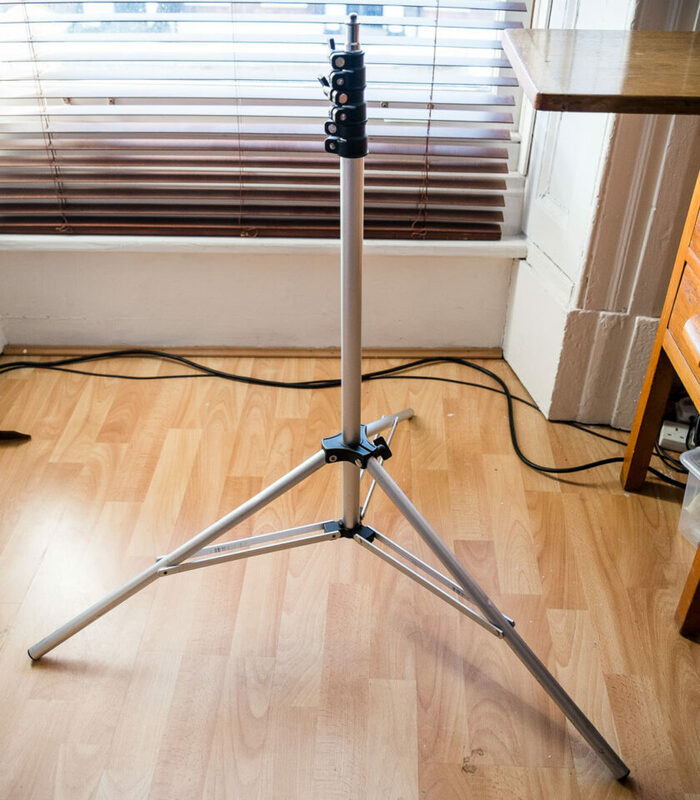 These type of flashes work better on overcast days, indoors or dusk, darkness, they have limited light output and are far less effective in the open on a sunny day. here is a link to the kit I have been using as a professional wedding photographer for a few years and they are as reliable as any out there. The commander has taken a drop on a number of occasions too! They work with my Nikon SB-900, SB-700 and a Yongnou 868. There might be better kit out there now, if you want to do some research and get more up- to date kit. Although I can whole heartedly recommend this very good and very cheap kit. Can I also recommend a guy called Joe Mcnally, a fabulous photographer who is a Nikon ambassador for Nikon flash. Get any of his books or videos and you will learn a lot! Good luck in your journey with off camera flash.